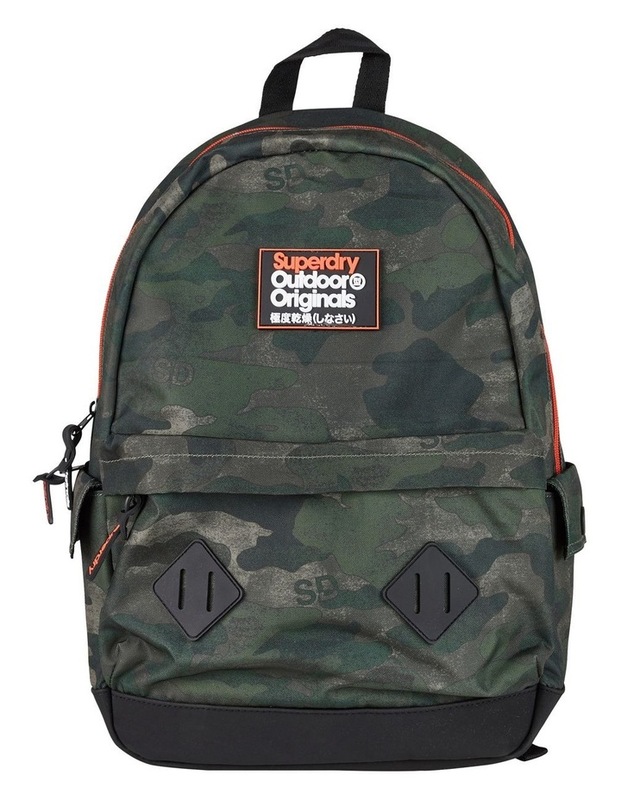 Superdry mens SD Camo Montana rucksack. 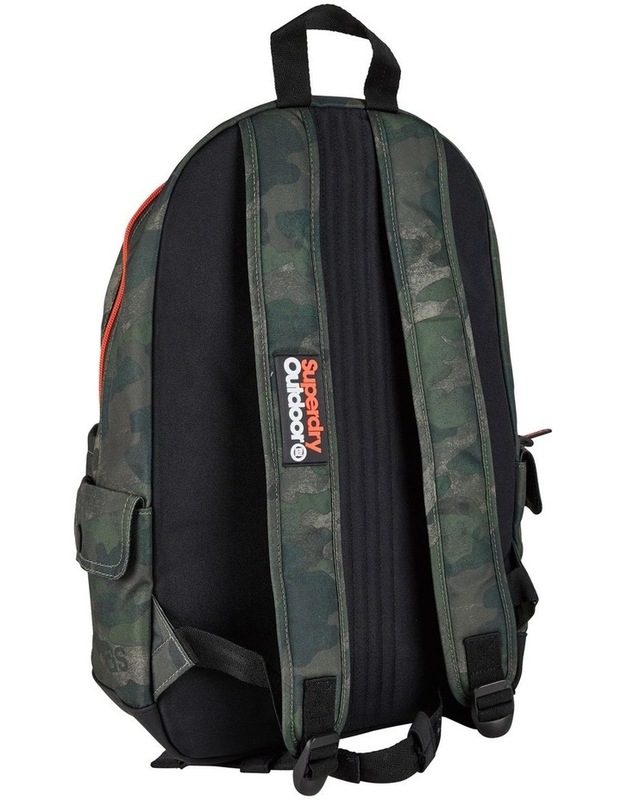 Store your essentials in style this season with the SD Camo Montana rucksack, featuring a top grab handle, a zip fastened main compartment, adjustable straps and padded back for comfort. The SD Camo Montana also features a smaller, zip fastened front pocket and twin side pockets. 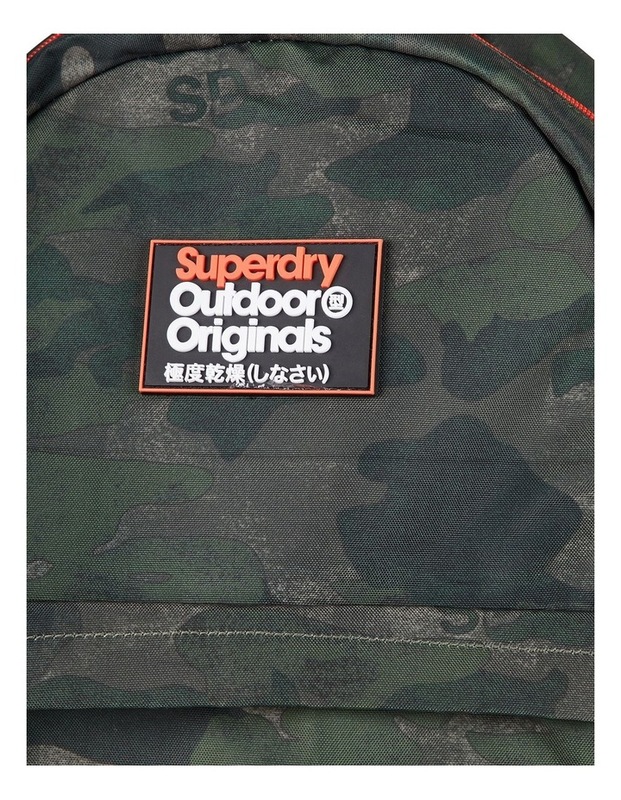 The rucksack is completed with a Superdry logo badge on the front and on one of the straps.